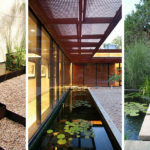 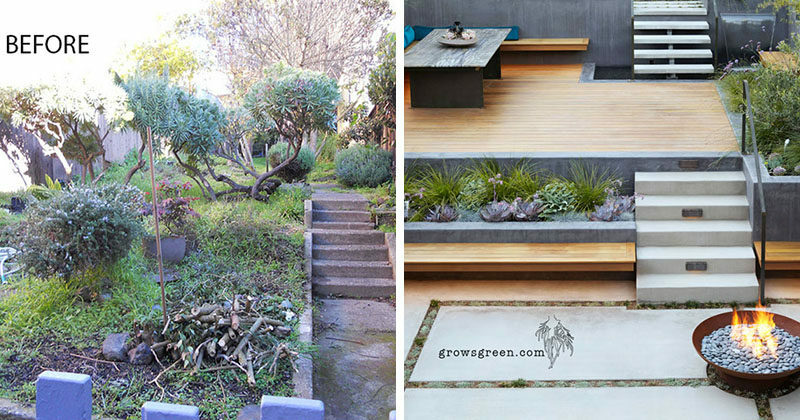 Beth Mullins of Growsgreen Landscape Design has transformed what was once an overgrown garden into a peaceful and modern backyard with distinct spaces for entertaining. 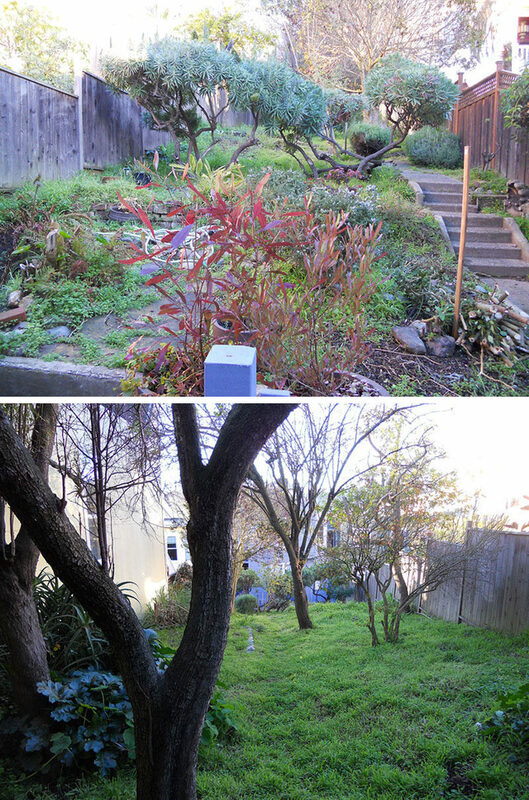 The original garden had no structure to it except for some minor steps and a failing retaining wall. 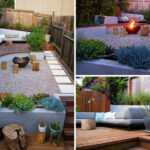 Beth was able to transform the garden by completely redoing the grade and adding the functional elements to the garden, with different functions for each tier. 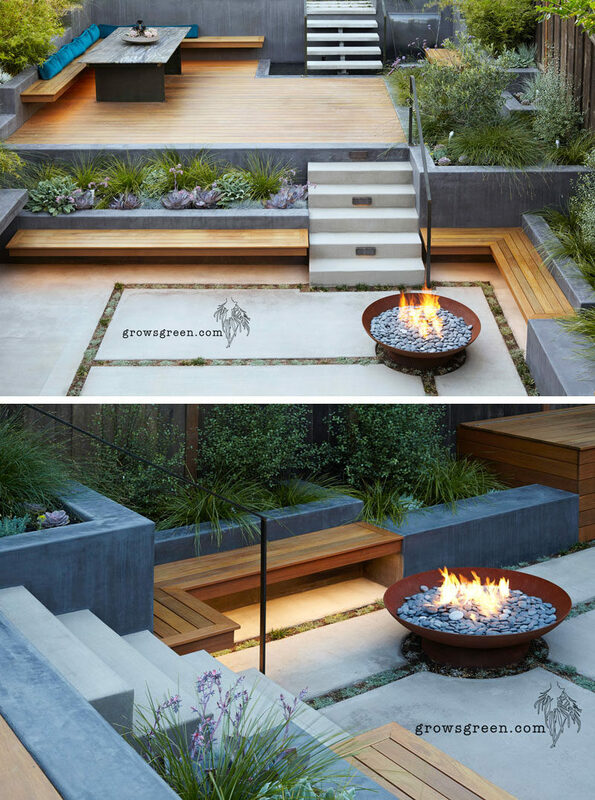 On the lower level, there’s concrete and wood benches that sit beside the firebowl, while the steps acts as extra seating when needed. 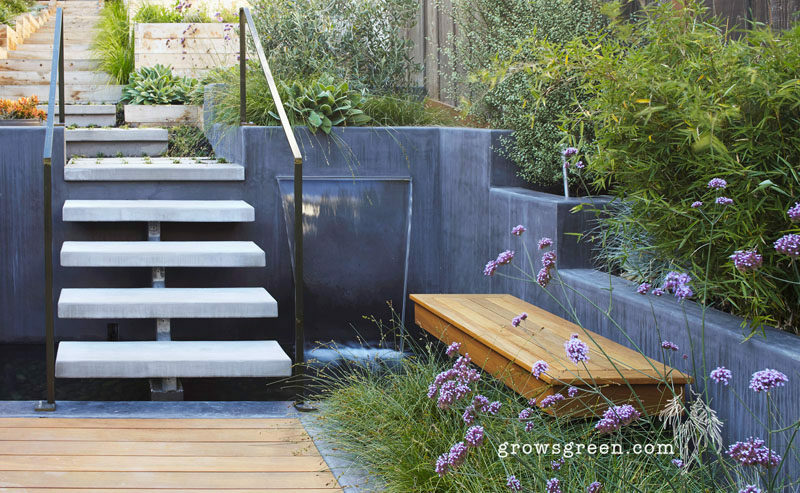 On the second level there’s a water feature with a bench, that allows for the visitor to be within the plants and near water. 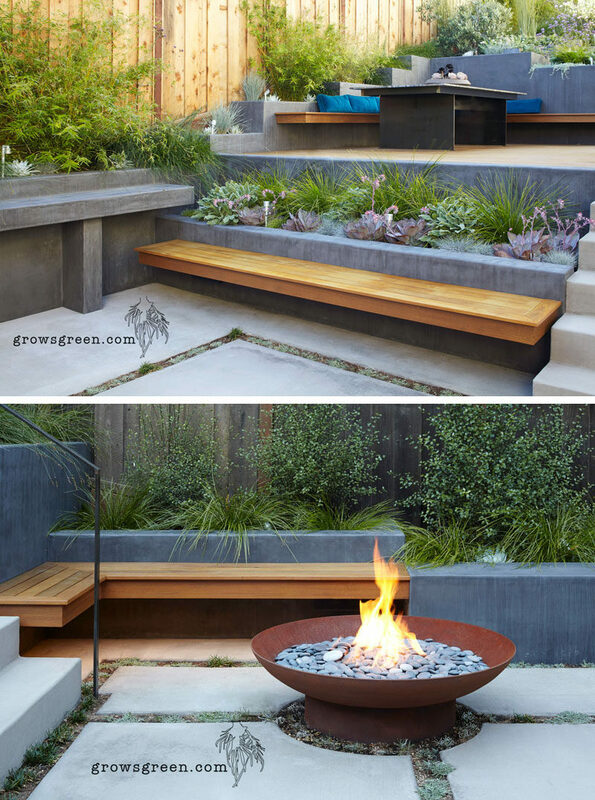 Ambient lighting was must and really activates all of the spaces at night, and custom planters and retaining walls are filled with small plants and raised vegetable beds.